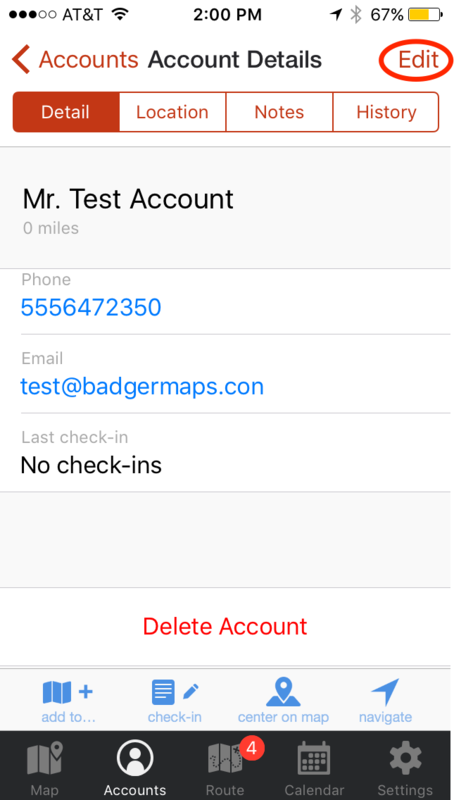 Badger Maps makes it easy to edit customer accounts from the convenience of your iPhone. 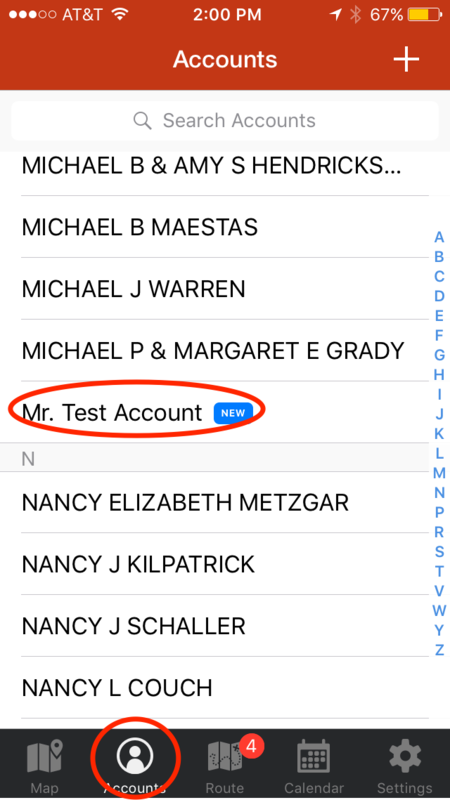 Add contact information or edit relevant information to any account quickly and efficiently. Select the customer account that you would like to edit. Click on “Edit” in the top right hand corner of the screen and make changes accordingly. Finally, click “Save” in the top right hand corner of the screen.